Share "Managing Interior Painting Projects: A Top 10 List of Best Practices"
If you are a remodeler or builder, and include painting in the scope of your work, use these considerations from a painting contractor to help make this phase of work successful and relatively painless. 1. Avoid trade sequencing conflicts. Hand off finished spaces to your painting sub. Once the sub assumes control of the space, avoid allowing any other trade from interfering. When more than one trade is involved, this can only compromise your painting sub’s ability to produce the work effectively and profitably. I know, this is an almost impossible task as you juggle multiple schedules and deal with almost infinite variables, but it is incredibly beneficial. 2. Don’t ask your painter to touch up damage caused by other trades. This is a sticky wicket, but your painter should not be asked to fix the fingerprints left behind by your electrician, nor should they have to repaint the baseboards because your floor finisher slopped polyurethane everywhere. 3. Don’t ask your painter to recaulk or repair cracks unless you make this clear in your project specs.Building with green lumber guarantees shrinkage, and it’s not your painter’s fault when contraction results in a phone call from your customer after the winter. 4. Recognize that the painting sub typically gets the short end of the stick. The project is nearing completion, and all parties are likely eager to see the project concluded. Typically, the project has run longer than anticipated and the pressure is on. This often impacts the painting phase and reduces the amount of time the sub is allowed to complete their work. Grant your painter the time he or she needs to perform the work successfully (even if this extends the completion date). Since painting is the icing on the cake, delivering a project with a superlative paint finish should make the client happy and reduce the number of call backs. 5. Ensure the highest quality of paint is applied. Paint is cheap, but labor is not. Invest in a premium paint for premium results. And verify the correct paint is being applied. We once took over a project where the original painter was dismissed for pouring big box brand paint into buckets of a premium brand. 6. Meet your paint rep. Find out who manages the territory for your area, invite them to write specs for your project, and learn as much as you can from them about the evolution of paint coatings and chemistry. Oil vs. latex is an argument of the ‘90s; clean air regulations have made the coatings companies invest in water-borne coatings, and these have become exceptional products. And if you want color samples, make sure this is covered in your paint specs too. 8. Don’t Bondo mitered corners (or anything else). Please keep the Bondo for car repairs. If an epoxy is needed to repair or resurface carpentry, use a wood-specific epoxy that will properly cure and flex consistent with the behavior of wood. My favorite carpenter quote to hate is: "The painters will fix it." Painters hate fixing others’ mistakes. 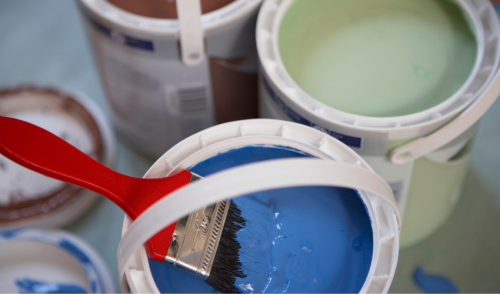 Unfortunately, painters typically don’t carry an allowance or budget for these incidentals. Plus, most are loyal subs who will take one for the team, performing extra work for free. It’s hard enough to make a profit on new construction without painters gifting additional work. 9. Back prime your trim. Or use pre-primed trim and buy the best trim you can get your hands on. Prime and/or glue cut ends. Set your nail gun properly so your painter is filling nail holes of minimal and consistent depth and does not need to cut the plastic tailing some cheaper nail guns can leave behind. Fire the trigger-happy carpenter who uses 10 nails where 2 will do. Please don’t install trim on top of uncured plaster. We once watched a multi-piece unprimed crown get installed over fresh plaster, mid-summer in Boston, in a residence lacking environmental controls. Needless to say, this crown had to be replaced. 10. There is no number 10 actually, but here is a closing word: Subcontractors recognize and salute the enormously complex task you, the builder or remodeler, has in managing an entire project. None of the points above are intended to be whiny or to excuse poor painting work; they are offered in the spirit of cooperation and mutual success. Most painters end up in the trade because they are kinesthetic learners; we learn by doing. We are not particularly good at estimating or running our businesses, and we are definitely not getting rich in this trade. We are, however, largely loyal and humble. And we appreciate the simpler things: predictability, consistency and reliability. © 2019 Washington Supply Company . All rights reserved.